Agents, we invite you to join us in Sentosa, Singapore on Sunday August 26, 2018. In collaboration with Sentosa Development Corporation we will provide you 18 high quality missions to explore the island on foot together. Sign up to receive more information soon. For Ingress XM Anomaly - Cassandra Prime Singapore - scheduled to August 25, please visit here. will receive a Mission Day medal. The PoCs have created 3 Mission Day Singapore-Sentosa Bio cards for participants to collect. You can obtain these cards by completing the requirements as listed below. Cards are to be collected on-site during Verification at Marina Bay Sands. (ii) Post a creative selfie/wefie and share in the Mission Day Photo Album. (i) There are limited number of cards made available. (ii) Cards will be given out on a first come - first served basis at the verification area. Sentosa has kindly extended the following promotions to all Ingress Agents during the month of August. $2.90 Cheese Jing Syuan (M) is only applicable when Ingress Application is flashed during ordering. Valid only at LiHO MBS, Vivo City, Resort World Sentosa and Sentosa Beach Station. The promotion will be valid from 24th August to 26th August. The management reserves the right to vary these terms and conditions at any time without prior notice. In any case of debate, we reserve the right of final decision. Do you need to spend money on ticketing to complete any missions? No. All missions are located in open, free to access areas. Entrance into Sentosa is free via the Sentosa boardwalk which is accessible from VivoCity Shopping Mall/Harbourfront MRT station. 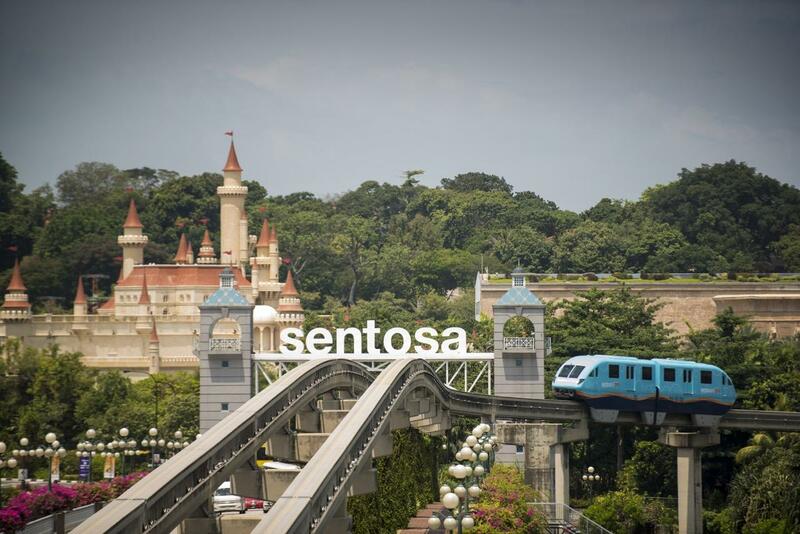 One mission is placed along the Sentosa boardwalk. You can complete the mission while enjoying the views of Keppel Harbour and strolling into Sentosa island. Will there be enough time to participate in both OCF and Mission Day? Yes. There will be more than enough time to complete the missions. OCF will also be starting at Emerald Pavillion in Sentosa. Please refer to the Cassandra Prime Singapore page for more details.